Fishing Trawlers end up getting converted to all sorts of stuff. Take Cape Chidley. 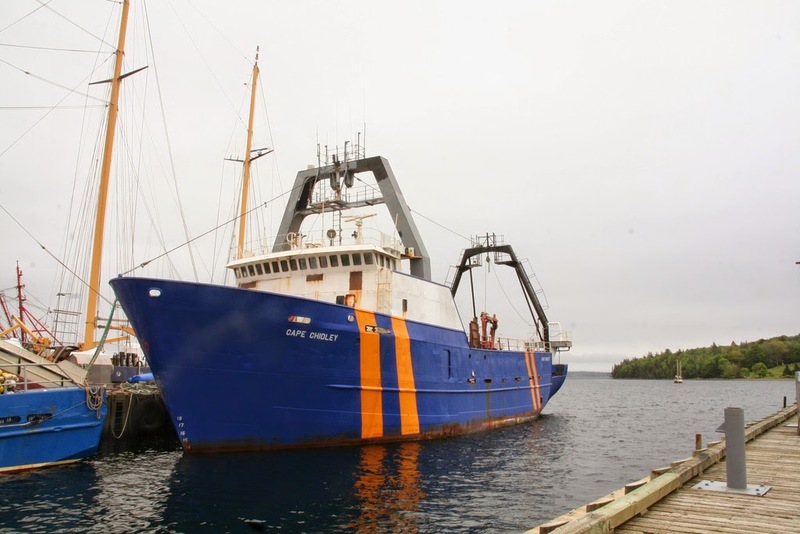 Built in Pictou in 1976 as the Esther Boyd for Canso Seafood, She fished until 2001, and was laid up in Lunenburg in 2009. Her Surveyed market price was $225,000us. She evidently found a Buyer, As she is now the M/Y Yacht Hop, and configured as a transport yacht from the Caribbean to French Riviera by a Frenchman. This entry was posted in fishing, yacht on June 24, 2014 by Peter Ziobrowski.